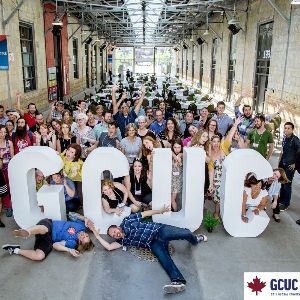 The Global Coworking Unconference Conference (GCUC- pronounced juicy) is the world’s largest global conference series. They bring together coworking aficionados, design enthusiasts, real estate experts, corporate executives and experts to pow wow on the future of work. In the past , GCUC has brought together over 7000 changers, but this isn’t their first rodeo. They've been holding conferences in Canada, South America, Australia, Singapore, Taiwan, London and China too! They are so excited to be hosting another GCUC USA this year and are ready to unleash more juicy content.